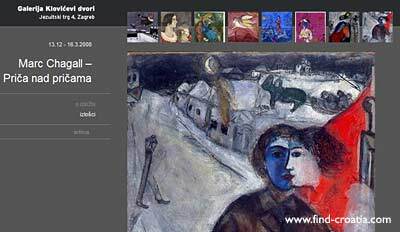 The exhibition of painter Marc Chagall will be open in Zagreb gallery Klovicevi Dvori from 13 December 2007 to 16 March 2008. 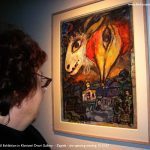 The exhibition will spread in twelve rooms of the gallery and will feature about 250 of his best oil paintings, prints, illustrations, drawings, lithographs, collages, sculptures and textiles. It will present the most important topics of his work – religion and romance, circus, surrealist as well as graphic art including hand colored illustrations for La Fontaine’s Fables. 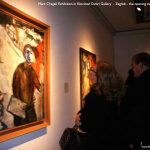 Chagall’s works that we will be presented in Zagreb come from the Biblical Message Museum in Nice, and the Georges Pompidou Center in Paris. 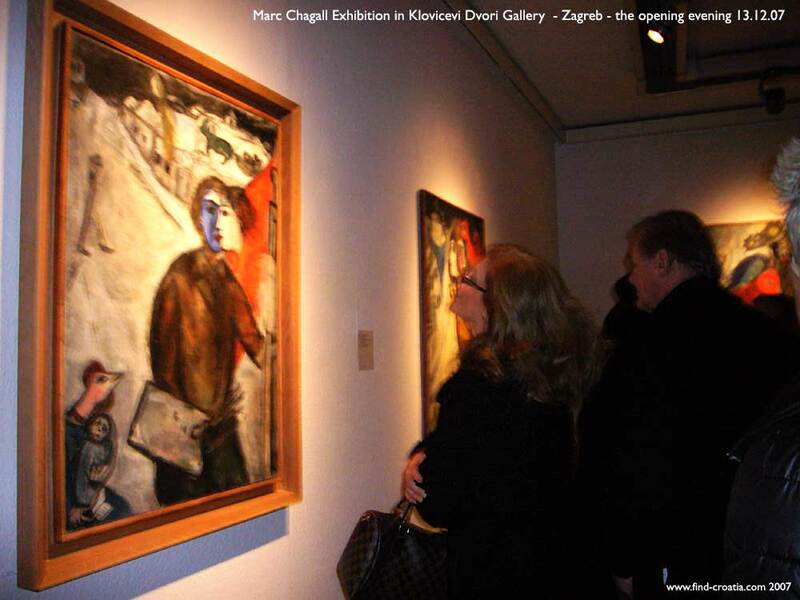 The curator of the Zagreb exhibition is Jean Michel Foray – recent director of Chagall’s Museum in Nice. 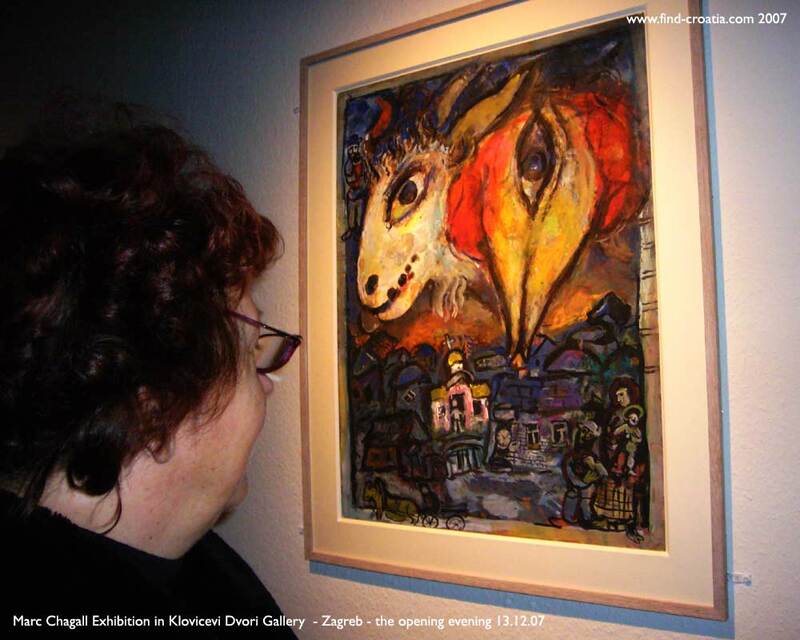 The Klovi?evi Dvori Gallery has also prepared a number of accompanying events (childrens’ art workshops, lectures). The museum shop will stock a range of Marc Chagall themed gifts and souvenirs. The exhibition is opened Tuesdays to Sundays 10am to 8pm.